A few weeks ago I went through a bit of a phase of requesting CDs from the library! Turns out that they are just like books because several of them have come in at the same time! 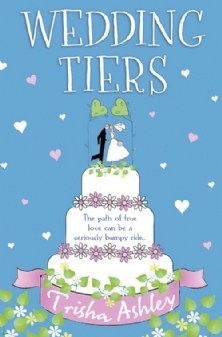 Wedding Tiers by Trisha Ashley - I recently read my first Trisha Ashley book and thought it was fun so I have borrowed the next one already! 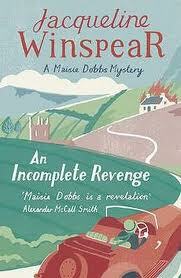 An Incomplete Revenge by Jacqueline Winspear - The next Maisie Dobbs book in the series. 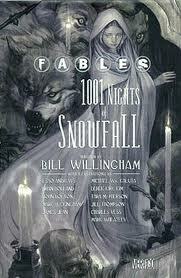 Fables: 1001 Nights of Snowfall by Bill Willingham - According to Kelly's guide to reading the Fables series, this is my next book in that series. Truth About Love by Pink - Love Pink's music! The Amber Ambulet by Craig Silvey - I think I have had this book out from the library before but I saw someone mention it and had to borrow it again. As an object this is such a great little book - fab cover treatment, compact size! The Bird Sisters by Rebecca Rasmussen - When this book first came out I kept on checking the library catalogue to see if it had been added. Ended up having to get this one via interlibrary loan. 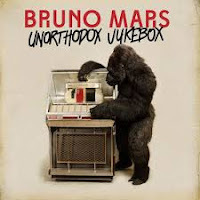 Unorthodox Jukebox by Bruno Mars - Love Bruno Mars' fun brand of music! Head over to Claire's blog to share your library loot this week! 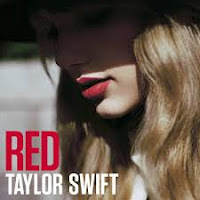 I've been loving Taylor Swift's new album. Enjoy! I need to listen to it a few more times I think but I am sure I will love it in the end! I am not a Maisie Dobbs fan but I do love the gorgeous covers all the editions of the books seem to get. This one is particularly lovely. Enjoy your loot! The first Maisie cover I had was a shocker so I am glad that they are getting better. Lots of new to me things here, but I am interested in the Pink album! I hope that you enjoy them all, Marg, and that you have fun listening and reading! I can't believe that I didn't already own it to be honest. I did think about buying it when it first came out but mustn't have got any further to actually but it! Pink is such a talented singer. I need to put her latest and the other two albums on hold. Great loot! She is really very talented. I saw her in concert a few years ago and it was amazing! 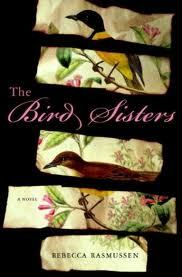 I enjoyed The Bird Sisters - hope you will too. Happy reading! Nice loot :) I just acquired a beautiful copy of Aesop's Fables. Not the same thing, but in the same vein. I read The Bird Sisters but the cover on yours is stunning! Happy reading! The Bird Sisters cover is gorgeous isn't it! Great loot this week, Marg! I intend to start the Fables series this year!!! Maybe it will make an appearance in my next library loot post. Thank goodness for Kelly's guide. I've bookmarked it on my phone for my future library visits. Ha! Ooo! Pink AND Bruno Mars! I'd borrow those two CDs too! I like Taylor Swift, too, but between my daughters playing her music and the frequency of her songs on the radio--I overdose on her quickly. I do really enjoy Bruno Mars music!